Kanye sure has been Tweeting a lot lately. Today’s topic? Video games. There’s a reason for that choice, of course. Kanye actually told us a little bit about his favorite games tonight, too. 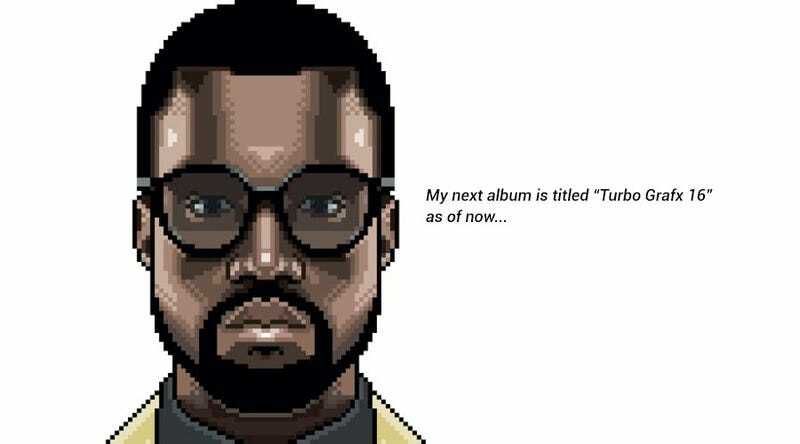 I kind of doubt his next album will actually be named Turbo Grafx 16, given how many times The Life of Pablo was renamed, but still. This is amazing, especially for a Friday night. Here’s hoping the next thing Kanye Tweets about is his video game’s release date!